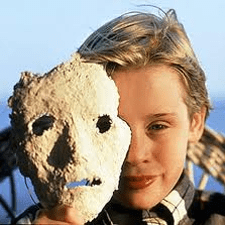 You know how, when people whip out their wallets to show you pictures of their kids and you sometimes think, “There is something not right about that kid?” Well, these kids have been making our skin crawl in movies for decades. No cutesy pigtails or rough and tumble young lads, these are the scary kids who have been scaring everybody since they were first committed to celluloid. Since we’re not getting any younger, let’s proceed with the list! Bye-bye sweet Kevin from Home Alone and hello Henry! 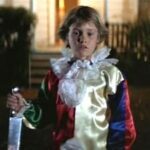 In The Good Son, Macaulay Culkin’s character has an adult-sized psychopathy tucked neatly in a tween-sized body. 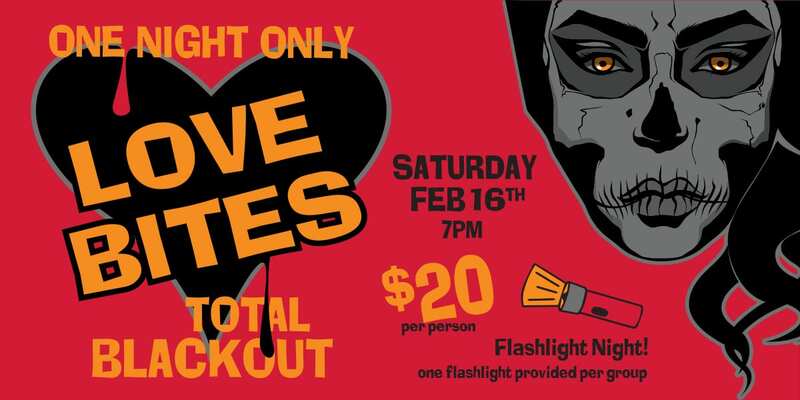 This film is more psychological than horror, but we maintain that all horror is rooted in psychology. Deeply, deeply rooted. Who’s that looking over her shoulder at me? 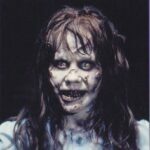 Why it’s young Regan McNeil! Masterfully played by Linda Blair, this is one of the most iconic roles in cinematic history. In The Exorcist, we get to see her show off her skills, like crab walking and distance vomiting, among other things, as young Regan becomes possessed right in front of us. Poor Carol Anne (Heather O’Rourke) isn’t the protagonist of this film. She’s a sweet young girl who just happens to be able to speak to the ghosts. Really, she is the victim, as she is kidnapped by said ghosts. Still, as her face is washed in the blue light of the television screen, it looks as if she is looking right into your soul… with those adorable little blue peepers. You’d have a difficult time arguing that the Grady twins from the King/Kubrik classic, The Shining aren’t the creepiest ghosts in movie history… child or adult! 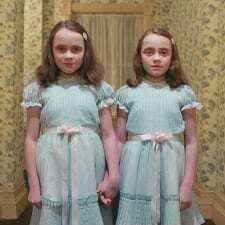 When young Danny Torrence is making his nightly tricycle rounds through the Overlook Hotel, he comes face to face with the Grady twins, portrayed by Lisa and Louise Burns. He turned down their offer to play forever and ever. Good call, Danny. Good call. Karma is a funny thing. Like when you have stillborn baby and follow the only logical course of action: steal a newborn from another mother who died during delivery. Hey, it happens. 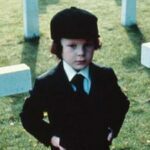 Just ask Robert and Katherine Thorn from The Omen. As luck would have it, their new bundle of joy, Damien (played by Harvey Stephens), turns out to be the actual son of Satan. Whoopsie! Halloween, as a franchise, has something for everyone. While we instantly recognize Michael Myers by that creepy white mask, it’s a younger Michael Myers, played by Will Sandin that really gives us the chills. While the scene doesn’t last long, the sight of him in the clown suit and holding a knife that is nearly as big as him… well… let’s just say, the trifecta of fear is creepy kids, clowns, and large knives. Nailed it! 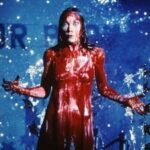 I had the misfortune of accidentally catching Carrie on television one night when I was about seven years old. You know, the good scene with all the pigs’ blood? I remember it well, because I didn’t sleep for the next week. Sissy Spacek opened up a big old can of nightmare fuel in this 1976 classic. The moral of the story: Telekinesis and anger management go hand in hand. 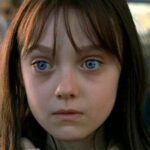 It takes a lot to upstage Robert de Niro, but a young Dakota Fanning did just that in Hide and Seek. As young Emily Callaway struggles with theher mother’s suicide, she moves in with her father. Also living in the house is Charlie… Emily’s new imaginary friend. This leads to some peculiar behavior on Emily’s part, such as mutilating dolls and other violent episodes. Kate and John Coleman are going through a rough patch in their marriage, so they decide to adopt, because this is a thing people apparently do. Aside from the natural hazards that come with adding a child to a failing marriage, they hit the jackpot of kids to add! 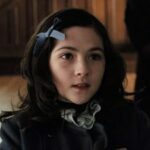 Esther, portrayed by Isabelle Fuhrman, may only be nine-years-old, but she has more problems than everyone else in the house combined! Needless to say, you won’t be seeing them all smiling on the Christmas card. In a bizarre case of extreme antiquing, young Em (Natasha Calis) buys a groovy little box. Unbeknownst to, well everyone, there is a really evil spirit in that box. REALLY. EVIL. Before you know it, precious Em is bent and contorted in all kinds of new ways and vomiting a parade of black moths. And that is just the beginning! Well, there you have it, Hell in jelly shoes. Tell us what you think in the comments and who we may have left out. Maybe we will put together a sequel to this list!